ASIC warns investors about investing in companies with majority of its operations in emerging markets. Watchdog has warned investors to take extra cautions and be careful when investing into any local companies which have majority of its assets in developing countries. Research taken by the Australian Securities & Investments Commission has shown that approximately one third of Australian companies listed in the stock exchange have most of their assets in emerging markets such as Africa, Eastern Europe, South America and Asia Pacific. The investigations is also being taken place in Canada after the Chinese company Sino Forest, was out of action after listing on the Toronto stock exchange along with fraud allegations. The Australian Securities & Investments Commission (ASIC) announced it will put up an investment checklist for investors that are interested in the emerging market issuers. 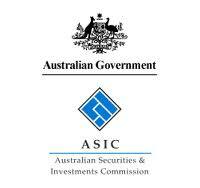 Australia Forex Brokers: ASIC warns investors about investing in companies with majority of its operations in emerging markets.